Polishing brushes come in a variety of sizes and are used to clean everything from jewelry to cars to shoes to stainless steel dishware. A polishing brush is usually much less abrasive than a wire brush because it is used on the surface after it has already been cleaned. Polishing Brushes Polishing brushes come in a variety of sizes and are used to clean everything from jewelry to cars to shoes to stainless steel dishware. A polishing brush is usually much less abrasive than a wire brush because it is used on the surface after it has already been cleaned. 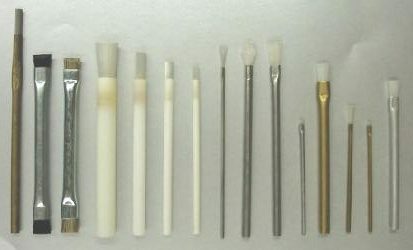 Polishing brushes can be made as roller or cylinder brushes that are attached to a motor and rotate rapidly to polish the surface of any objects that come in contact with them. They can also be made in cup and disc shapes of varying sizes to be attached to a hand drill or some other power tool. These convenient polishing brush attachments make it easy for anyone with a drill to quickly and professionally polish objects. Some polishing brushes are designed specifically to work with industrial machines as part of an automated cleaning process. When these wear out, replacement brushes are ordered and they can be installed on the machine to maintain cleaning quality. After a surface has been treated using abrasive materials to remove contamination and painted if necessary, polishing is the final step to ensure that there is no dust or other fine residue left on the product. 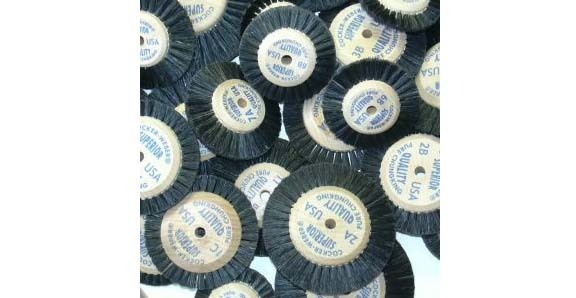 Large round polishing brushes are sometimes used on cars after they have been waxed to buff out the streaks and leave a smooth, shiny surface. Polishing brushes can also be used on chrome to help provide a more shiny appearance. 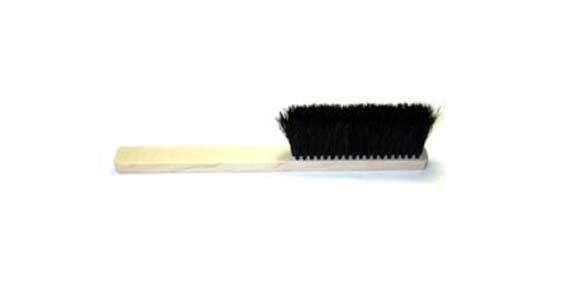 For delicate products and components, a polishing brush is used without the assistance of any power tools or machines. Instead, a worker moves the simple brush by hand while grasping the handle. Sometimes this is the only way to make sure a very small object is properly polished without being damaged.